Following a record number of nominations for the third consecutive year, Ceva Animal Health has revealed its finalists for the prestigious Ceva Animal Welfare Awards 2019. Farmer of the Year Award supported by R.A.B.I. 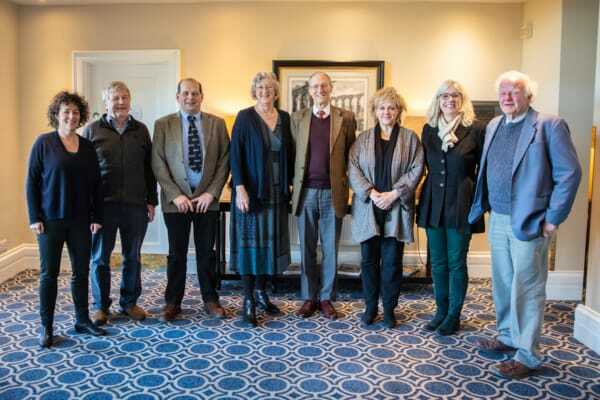 The shortlist for each award was decided following a day of deliberations by a panel of esteemed judges chaired by retired veterinary surgeon, Chris Laurence MBE FRCVS. Chris has a wealth of experience in animal welfare; he is chairman of the Animal Welfare Foundation, the Canine and Feline Sector Group of the Animal Health and Welfare Board and BVBA (British Veterinary Behaviour Association) and before retiring he was chief veterinary officer at the RSPCA and veterinary director of Dogs Trust. He is also involved in a number of charities and is a trustee of the Pet Blood Bank and the Bella Moss Foundation. Winners will be revealed and presented with their awards during a glitzy ceremony held in Birmingham ahead of BSAVA Congress on 3rd April 2019. To find out more about the awards visit www.cevawelfareawards.com.